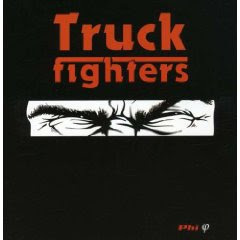 The Truckfighters are a highly innovative band from Sweden that have crafted their own unique brand of stoner metal. Their sound is a cross between the fuzzed out, heavy, monster desert rock riffs of Fu Manchu and Kyuss and the bizarre chords, tunings and guitar melodies of the prog rock band of early King Crimson. The vocals are unique as well, in the vein of Ian Astbury of The Cult. Their songwriting is incredible. Head banging stoned-out riffs that give way to beautiful, mind-bending melodic soundscapes and off kilter guitar work, sometimes at the drop of a hat. What holds it all together is the masterful solid rhythm section. The bass playing brings to mind the heavy, distorted, yet tuneful bass of 1970's King Crimson. The drumming reminds me of the heavy, cymbal laden sound of Kyuss and Fu Manchu's drummer Brant Bjork. The Truckfighters do have a strong affinity for Kyuss, but they take that sound and make it into something completely their own. 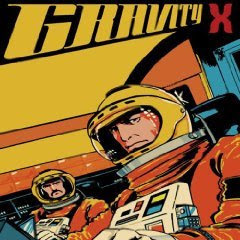 Their first album "Gravity X"(2005) is a straightforward and deadly stoner metal masterpiece filled with irresistible hooks that grabs you from the first song "Desert Cruiser" and holds you to the end. It is a must have. Their second album "Phi"(2007) is a more complex and angular album. The songs take a little longer to get used to and the album has an overall darker and more adventurous quality. They take their time and let things build. Still a good album, but it requires a little more patience than "Gravity X". A unique thing about both of these CD's is that the songs bleed into each other...one track leads right into the other seamlessly. The Truckfighters, with their unique blend of prog and desert rock are a refreshing force in the rapidly stagnating world of stoner metal. Go out and get "Gravity X" and if you like what you hear, pick up "Phi". The Truckfighters will not disappoint. Here's the video to "Traffic" from their second album "Phi'. And here's the promo video for "In Search Of(the)" from their first album "Gravity X".